Uganda Communications Commission’s take on Social Media! “2016 Social Media Awards Uganda #SMAUG16 – Do you think Social Media should be regulated? Uganda Communications Commission take on Social Media!” (SMA Uganda, 2016). 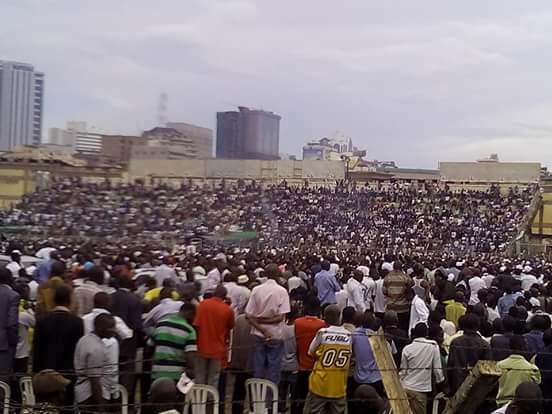 Today and tomorrow are the days where the stadiums will be filled for the nomination rallies in Uganda for before the General Election in 2016. This will be for Yoweri Kaguta Museveni (NRM), Amama Mbabai (Go-Forward) and Dr. Kizza Besigye (FDC). 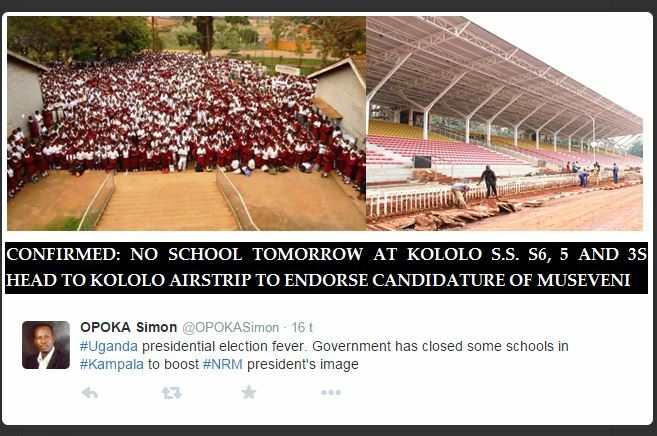 Even the businesses in central parts of Kampala are shut-down while people are going to Mbabazi’s Nakivubo stadium. It’s also been hectic and jams around Ntinda today. The Police have had check-points on the roads into the Nakivubo Stadium today! A strong police presence in Kampala is strong today! 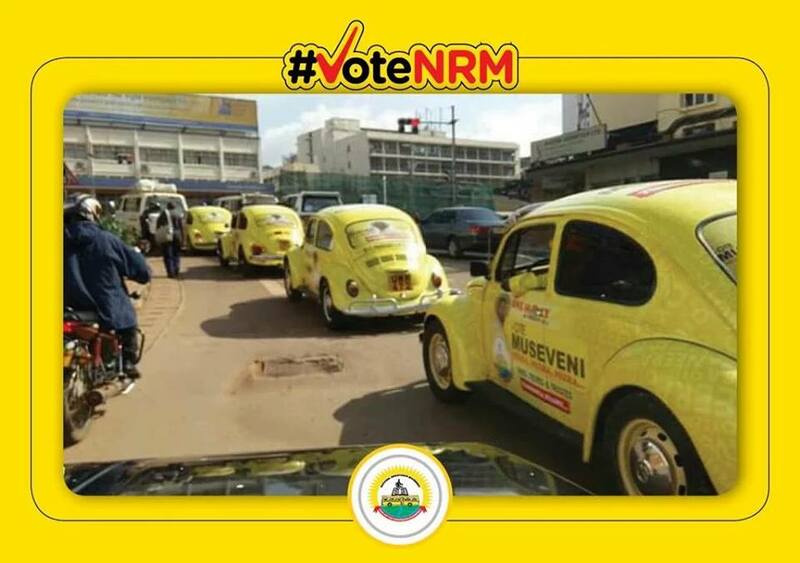 Its election time so the NRM-Regime does something to the citizens they have actually given free fuel and free money before the Nomination Rally at Kololo Independence Ground today! Surely election season, things can sometimes become free! Amama Mbabazi: “We are fully aware of the election obstacles in Uganda and we are going to overcome them”. “I need to caution our members about branding each other ─ saying this, is “pro-Mbabazi” “pro-FDC”, etc. Ugandans know how to speak for themselves. Those who want to join Mr. Mbabazi can speak for themselves. Nobody else should speak for them. If they are acting as infiltrators, we shall discover them and deal with the infiltration”. Mathias Mpuunga: “Enough is enough. 30 years is too long. We are here to assure you that we are ready for change” (…) “Opposition political parties, all regions of this country are going forward. We are going fooorward”. The crowds coming to Kololo and the NRM stadium has been shipped in with buses from Jinja Road from all over the country and also closed local schools in town to support the President. 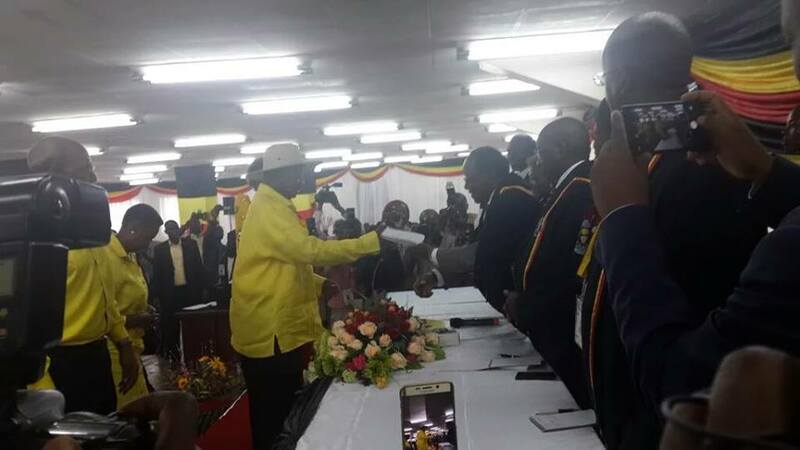 Candidate Museveni duly nominated at 10.21 am, where he was with the Electoral Commission Chairman Eng. Dr. Badru M. Kiggundu hands him nomination certificate. Professor Venasius Baryamureeba has also been certificated the nomination for the Presidential Aspirant, and he got nominated at 12:00 Am at Makerere University Business School (MUBS). The Professor has himself thanked the Uganda Police Force for handling the crowd well today. Prof Barya said this today: “Today is when we begin a serious journey of beginning back our country Uganda to the right track”. Earlier reported that Charles Lwanga has arrived and been at the Electoral Commission has been accepted for his nomination as a Presidential Aspirant. But later reports tell that he failed to fulfill requirements and also have the bank slip with the 20 million fee for the candidacy. So he will surely not run this 2016-2021. There been totally 48 picked nomination forms, the total 12 returned forms, 10 satisfied requirements for nomination has gotten the nomination certificate. 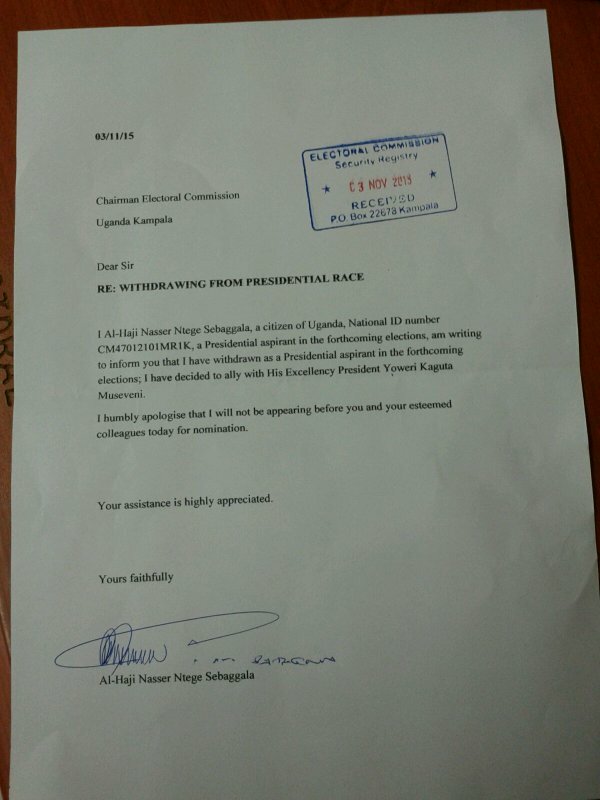 One of candidates who have now returned his Presidential candidacy is Nasser Ntege Ssebaggala the former Mayor of Kampala. President Museveni said at the Nomination Rally today: “I request your vote to finish what I have started plus new development programs for the country”. Amama Mbabazi says this: “I am happy I came after President Museveni this is how things are going to be”. Iganga LCV Vice Forman Gabula Ezra defects from the NRM to the Go-Forward. Acting DP Publicity Secretary Paul Kakande has deflected from the party to Go-Forward today and Lango elders vouch for the Amama Mbabazi as well. The Lango elders gave him a walking stick as a “sign of respect”, they gave him that the Nomination rally at the Nakivubo Stadium and even some Lango supporters gave him a spear. The NRM Youth leaders Omodo-Omodo and Adam Ruzindana are at the Amama Mbabazi Nomination Rally today. There is reported to be some leaders from the Conservative Party also represented at the venue today! Uganda Federal Alliance’s Betti Kamya was also present at the Stadium. People’s Progressive Party has said it has supported the candidacy for Dr. Kizza Besigye three times and that has been in vain. So they now endorse Go-Forward now! Asuman Basaliirwa of the Justice Forum (JEEMA) said: “JEEMA will back Amama Mbabazi for and are positive for 2016 and is time for Amama” (…)”The country has only one problem…Mister Museveni”. Former Tooro Kingdom Prime Minister Hon. Stephan Kaliba has endorsed Go-Forward! Medard Lubega Segona the Buganda Information Minster claims today: “gives credit to Amama Mbabazi for pilling pressure on Museveni to return Buganda property”. 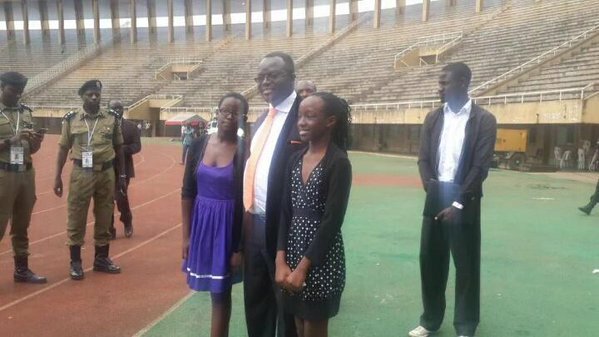 Jimmy Akena claims to be the UPC President at the JPAM rally. While somewhere else is Olara A. Otunnu claims to be the President of the UPC. So while this is happening, who is really running the UPC? We have known for a while about the split and Otunnu and Akena wings of the Party… but the introduction of both leaders as leader of the Ugandan People’s Congress is a bit tricky on a day like this! Olara A. Otunnu said this: “All those who want the change should come together and unite to be one. Unite with Amama Mbabazi”. Mira Matembe said that this the motto of the country has changed from “For God and Country” to “For my stomach and my family” she continues: “Even Mbabazi realized that things had changed for the worst, that’s when he gave it (Regime) up!” (…)”NRM simply uses and discards its woman and youth”. Dr. Abdi Bwanika will launch his candidacy for Precedency tomorrow and launch his campaign at the Nsambya Sharing Hall. Dr. Ian Clarke who has run as Mayor for Makindye, he is now officially running for MP. Eng. Dr. Badru M. Kiggundu the Electoral Commission Chairman has told the media that he will have meeting with the Presidential Aspirants and Candidates so they can harmonize their campaigns on the 5th November. There was rumored about the buses from the other parts of the country for getting NRM-Supporters to Kololo Independence ground and the Nomination Rally of Yoweri Kaguta Museveni today. 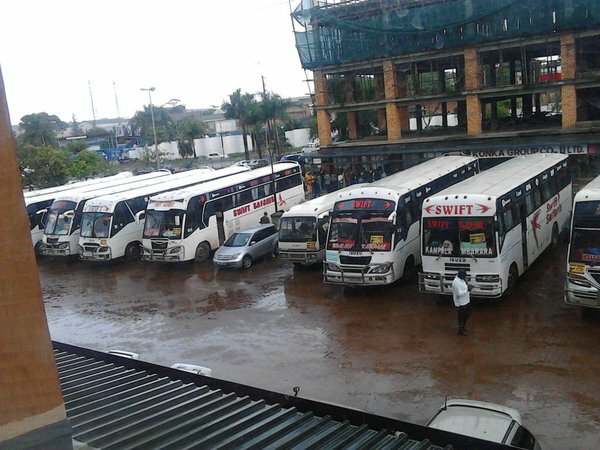 The issue and reports now is that the same people does not have a de-tour or return buses from the NRM. So certain NRM supporters from Up-Country are stuck at and around the Kampala Central Police Station and Bombo Road. For the simple reason there is no official transport back to Lira, Gulu and Arua. This was from where they was shipped from to get to the venue and start of the Campaign for 2016 for Mzee. “Hon. Amama Mbabazi was successfully nominated a presidential candidate today morning. He is currently addressing a mammoth rally at Nakivubo War Memorial Stadium. Go Forward is part of the forces of change under The Democratic Alliance (TDA)”. This is interesting start to the official start of this presidential election in February 2016. Tomorrow is the others candidates start as official candidates. As the big one tomorrow is Dr. Kizza Besigye. 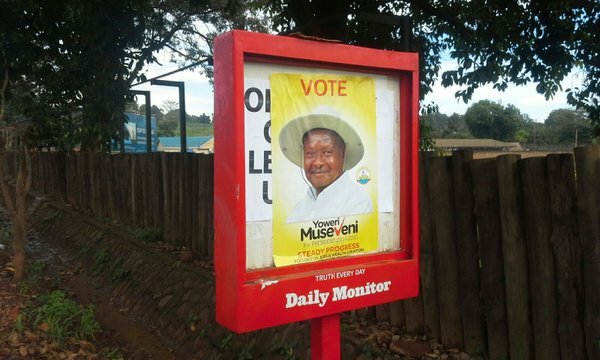 And the other candidates that might have a clarity to run; even if we have a mighty big chance of the NRM-Regime to rig the coming elections in favor of Yoweri Kaguta Museveni and the NRM, then we shouldn’t be surprised. The thing we can see if there will calm and clarity and if the UPF will keep their heads cool! That is something to look forward to… see if they can achieve that. Party Partisan media, really? Aga Khan is surely loyal to M7 🙂 Don’t think so while looking at that? This is just so you know and this will be interesting. Peace!